It is this time of the year again. My challenging macro subjects have disappeared. No more flowers, no more insects and no more toadstools. And frankly I don’t mind that much. There is a time for working and there is a time for resting. About a week ago Edwin and I visited the beautiful Wadden Island Texel. The weather was rough but temperatures were oké. Excellent for relaxing and enjoying nature. Photography surely was not on top of my list. Except…. the day we visited Ecomare. Ecomare is more than a seal sanctuary. It is also a sea aquarium, a bird sanctuary and a nature museum. My heart was directly stolen by the young common seals. Once they were weakened or abandoned. They were found and Ecomare rescued them. Now in a little bassin these sweet and inquisitive pubs were patiently waiting for their return to the Wadden Sea, one day in the future. It looked as if they felt save, at ease and protected in their temporary stay. Like being in mothers womb again. They just totally represented my feeling of wanting to cocoon. 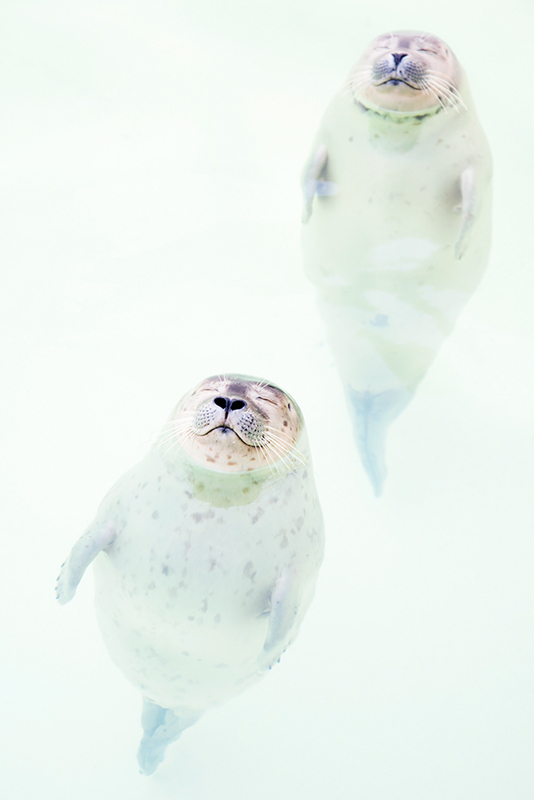 Enjoy little seals and good luck with your return to the great sea!